OLFA Scraper Blade BS-10B Model 1086566 is a 4" wide, dual-edge, carbon tool steel blade for maximum coverage and speed. Designed with both a sharp and a rough-edged side. Use either sharp side or rough-edged side, depending on the job. 10 Blades Per Pack. 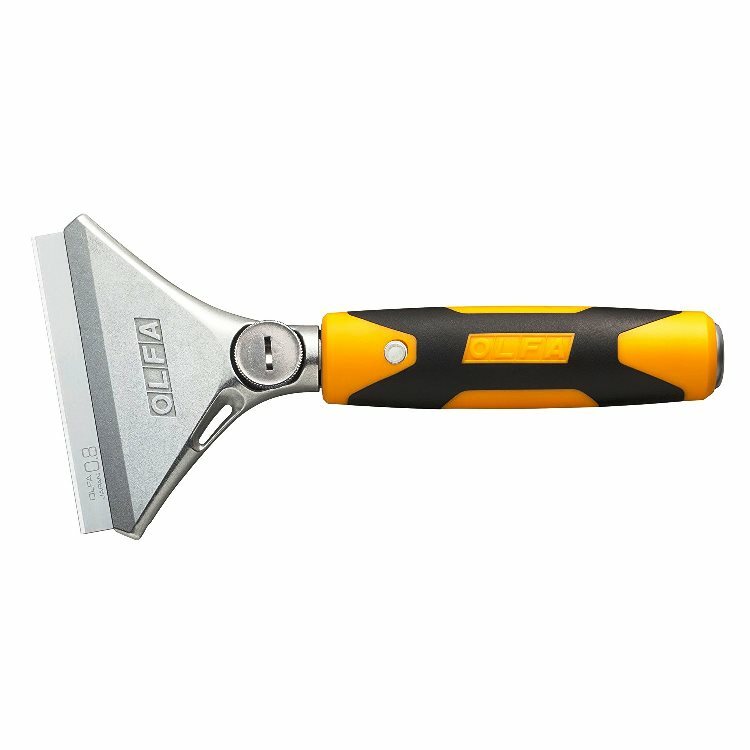 OLFA Scraper XSR-200 Model 1119195 Is An Extra Heavy-Duty Scraper With 200mm Arm. CLICK ON IMAGE AND SCROLL DOWN TO RELATED PRODUCTS FOR A LIST OF REPLACEMENT BLADES.